Financial inclusion is increasingly becoming a buzzword in the finance arena. While crucial in setting a strong foundation for development, the Southeast Asian (SEA) region and the world still has a lot of room for improvement. This is where Peer-to-Peer (P2P) lending can step in to steer the money lending economy in the right direction. Why is financial inclusion important? Financial inclusion refers to people and businesses having access to affordable and useful financial products and services, delivered in a sustainable manner. This can include access to transactions, payments, credit, savings, and insurance, just to name a few. Financial inclusion is important as it contributes directly to the ability of communities to develop and grow. It equips people with the tools to manage their wealth by having savings and enabling the allocation of resources to various aspects of their lives such as health, education, and business. According to the American Economic Review, financial inclusion can aid in the reduction of poverty through an increase of one’s income potential and asset-building capabilities. Financial inclusion also acts as a safety net to let companies survive financial emergencies through business loans. Despite the importance of financial inclusion, many individuals and businesses still lack access to quality financial services. Global Findex Database found that 1.7 billion people worldwide do not have access to basic financial services, like a bank account. Deloitte reported that less than 60% of Small Medium Enterprises (SMEs) in Indonesia, Malaysia, Philippines, Singapore and Thailand have access to bank loans as a means of financing. Shockingly, the region around us continues to use personal funds as a dominant source, particularly in Indonesia. The reality is that SMEs’ financial requirements are more often than not too large for microfinance, yet too small to be effectively served by corporate banking models. As such, there are many underserved companies with poor access to mainstream financial services and need to rely heavily on alternative financial services. How does P2P lending support financial inclusion? The presence of financial exclusion reveals a potential market for lenders. In particular, P2P lending can help address the issue of accessibility while providing an alternative form of investment. P2P lending brings lenders and borrowers in direct contact through a common platform. By skipping traditional financial institutions through a convenient digital platform, the P2P lender is able to enhance access to much-needed working capital. Lenders and borrowers are not bogged down with the same degree of bureaucracy and regulation imposed by traditional credit providers, and other measures of assessing creditworthiness are in place. Instead of waiting for a week to process loan applications, a more immediate relief can be provided through P2P lending for business emergencies in the form of SME loans, bridge loans, invoice financing, and more. On top of the improved access to funds, P2P lending also adds more options to the pool of investment types available. As opposed to a large starting capital of $10,000, P2P lending allows easy entry with affordable options starting from $20. New and seasoned investors alike can look forward to diversifying their portfolio through this form of alternative investment. In this digital age, there are lesser excuses for financial inclusion to remain problematic. Banks and Fintech businesses need to ensure that the underserved community is not left behind. P2P lending has the potential to reinvent the funding sphere. One of the greatest misconceptions about SME financing is the notion that taking on debt is always a bad thing. Many people associate loans (aka. debt financing) with financial difficulties and cash flow problems and often assume that companies will only take up loans if they are in a poor cash position. However, this cannot be further from the truth. Did you know that even large and established companies such as Apple still take on business loans? There are many advantages to debt financing that are often overlooked by SME-owners due to risk adversity or years of hearing misguided information. This is the opportunity for you to uncover the perks of undertaking on business loans (and the precautions you can take) so that you can clear your misconceptions and make an informed financing decision. Common Myth: A healthy business always has excess cash on hand and will not require any form of business loans. A healthy business will usually be seeking ways to speed up their rate of growth. Hence, it will often utilise excess cash to increase its capacity for growth (through upgrading equipment and machineries, increasing marketing efforts or expanding working capital). However, relying on cash-flows alone to finance growth is often insufficient for businesses and may cause them to take a longer time to reach its goals. Therefore, many successful SMEs choose to leverage business loans to accelerate its expansion and growth, which is an opportunity you can consider for your business as well! Possible Precautionary Actions: Create a revenue forecast based on existing balance sheets to ensure that your business will be profit-making on top of covering loan repayments. Common Myth: Cash-flow problems are an inevitable reality for SMEs. Freak Incidents i.e. Warehouse fire or natural disasters that may affect supply shipments. Cyclical Business Downturns i.e. A restaurant chain may face business slowdowns in certain periods of a year, where their operating costs may be greater than that period’s revenue. Poor business decisions/estimations or negligence of partners i.e. A firm overestimates its financial ability to follow through with a large project or subcontractors face financial problems due to main contractor’s delayed payments. These unexpected circumstances may cause an inevitable fall in period cash flows. But they can be easily remedied through undertaking business loans in advance, to allow cash to be set aside as a buffer against such circumstances. A stable and affordable line of credit also allows your business to continue operating as normal during cash-strapped periods. Generally, loans help prevent your overall business cash flows from being susceptible to uncontrollable situations and cyclical downturns. Possible Precautionary Actions: There are other actions you can take to better manage your cash flows, you can find out more on 5 Steps For Better Cash Flow Management. Having extra cash on hand or obtaining a business loan will allow your business to capitalise on these opportunities in time to potentially generate greater revenues. This is also important for businesses in capital-intensive industries such as manufacturing. They often need to spend large amounts on machinery, labour and inventory far before they start receiving any revenue from their projects. They risk having insufficient funds to complete the project if unexpected expenses are incurred midway through. A solution is to cover these heavy initial investments with short-term loans to leave the business with sufficient cash reserves. Potential Precautionary Actions: Conduct a revenue forecast to estimate the true costs and profits generated from this investment. It will be helpful to determine the return on investment of the opportunity through weighing the cost of the loan against the potential revenue that can be generated. Basing decisions on hard number rather than gut instincts will prevent over-enthusiasm from clouding your judgment. Do you know that taking on a loan can reap long-term benefits for your business? 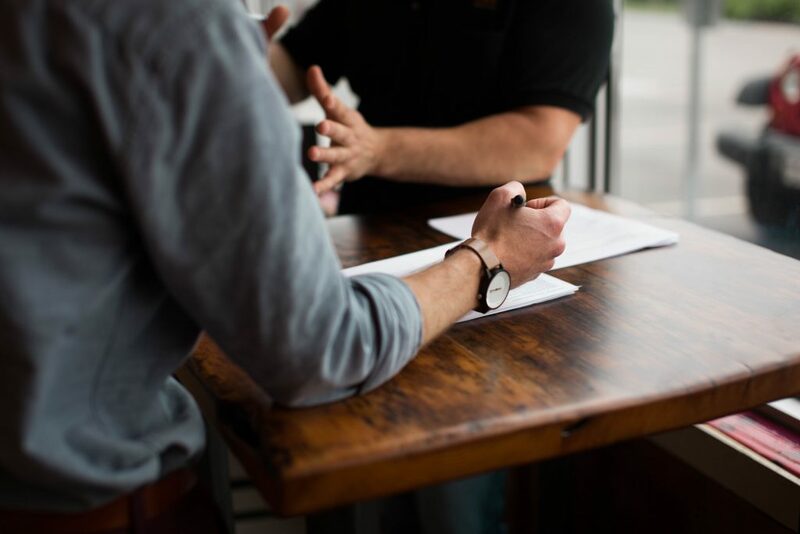 When your business undertakes a loan, it establishes relationships in the financial sector and builds up lenders’ confidence through timely repayments. This is especially important for young SMEs that often find it difficult to qualify for larger loans when they lack a strong credit history to support its request. Responsible debt financing will help to boost your business’ creditworthiness and business credit score. This may increase your chances of getting bigger loans in the future as your business grows. The saying that the “bank is a place that will lend you money if you can prove that you don’t need it” also holds very true here. The best time to apply for a loan is the period where your business is financially strong, maintaining healthy cash flows and has a comprehensive business plan for future growth. It is wise to take advantage of periods with higher credit ratings to apply for loans, as banks and investors will perceive lower risk and issue a lower interest rate on the debt. SMEs can also re-invest excess cash in securities or instruments that repay a higher interest rate, profiting off the difference in interest rates. Possible Precautionary Actions: SMEs should be cautious of taking on an early loan and ensure its ability to afford the loan as every late payment on a small loan may affect their qualification for future bigger funding. Common myth: Equity Financing is better for SMEs as investors will bear all risks and SME-owners will not be liable if the business fails. Although equity financing has many upsides such as decreasing risk for SME-owners and allowing the business to have more cash and less debt, the truth is that its downsides are incredibly large. Equity is an expensive financing method as it incurs a greater loss in the long-term. It requires you to give up a stake of your business in exchange for cash. Although 5%, 10% or even 15% may seem a reasonable percentage of equity to give up when your business is cash-strapped, it actually dilutes your ownership of your business. Ownership governs your control over management decisions affecting small decisions such as the hiring of workers as well as big decisions such as which projects to undertake. The general rule of thumb is that equity investors will seek to have a degree of authority over decisions made by the businesses they invest in, making it unwise to relinquish a large portion of your ownership over your company. Tax benefits: Interest payments on loans are tax deductible and will decrease the amount of revenue that’s taxable. Comparatively, dividend payments to equity-holders are not tax deductible. Lower obligations: As equity-holders risk losing all their investments if the business closes down, investors usually expect higher returns. Comparatively, business loans can usually be sourced at a lower interest rate. Easier forecasting: Loan payments do not fluctuate as much as equity prices, making it easier to forecast expenses. Possible Precautionary Actions: Too much of a good thing can be a bad thing. Although debt-financing is a good option for SMEs, it is important to not over-leverage and risk defaulting on loans. There is a significant amount of risk for the borrower if they lack confidence in loan repayments. Larger SMEs often use a combination of debt and equity financing to reduce the downsides of each method. You can find out more here on Debt vs Equity Crowdfunding. In the past, SMEs often found it difficult to obtain a loan even if they recognised its advantages and are interested to undertake one. This usually occurs due to the long application period from traditional financial institutions and lack of business collateral or credit history to back its loan request. This is a common problem faced by SouthEast Asian SMEs that you can find out more about here on The SME Funding Gap in SouthEast Asia. Fortunately, the proliferation of online financing platforms has led to more sources for SMEs to obtain loans from. One key option is Peer-to-Peer (P2P) loans that can be obtained through debt crowdfunding platforms such as Funding Societies in Singapore. This enables SME-owners to obtain loans much quicker — with simpler request procedures which can even be done through this popular business loan mobile app FS Bolt. You can find out more about Peer-to-Peer Loans here to make a more informed financing decision in the future! Businesses, especially SMEs, have grown highly competitive in the past 10 years. Local competition is not new, but international and online competition have kept small businesses on their toes. And along with the general cost of living, cost of doing business has gone up as well. In such a scenario, it is absolutely essential for SME owners to keep an eye on their cash flow. According to an NUS Enterprise study, almost half of all start-ups fail in the initial stage because of cash flow issues in the business. As one of our SME clients aptly explains, “Cash Flow is King” without cash flow, businesses cannot survive. SMEs face a number of business challenges. According to DP Information Group’s SME Development Survey of 2017, the biggest challenge for SMEs is financing. Over a third of SMEs surveyed reported finance-related issues. This was up more than 13 percentage points from the previous year and almost doubled since 2014. What are the finance-related issues plaguing SMEs? Based on the survey conducted between 2,522 SMEs, four main issues were highlighted by SMEs in 2017. This is the most common issue faced by SMEs. Due to seasonal fluctuations, your clients may not be able to pay you on time. One possible solution is invoice financing, which will be discussed later in this guide. Read Also: What is Invoice Financing? SMEs also highlighted that they encountered higher interest rates when they go to the bank. According to this Business Times article, four in 10 Singapore SMEs lack support from financial institutions. While certain banks are recently looking to grow their SME lending, financial support for Singapore SMEs doesn’t exclusively come from banks. As financing gets tougher for companies, suppliers start to tighten credit access to their debtors. Suppliers may require companies to pay for inventory upfront or at shorter notices. Typically, traditional banks would require collateral for SME loans of larger amounts. SMEs have highlighted the need for more collateral for the same financing. Invest your capital in creating your own business website. Make the address as simple as possible, preferably using your brand name as the web address. Prioritise design. Don’t hesitate to hire a web designer if you can’t do it yourself. Your company website is your business face. People will assess how professional your business is based on your site interface. Now that you have your own website, you need to spread the word. This is where social media will help you in the most effective way. Create a Facebook page, an Instagram account, a Twitter account, even a LinkedIn page – utilise as many social media platforms as long as the platform is still within your niche and your company has the capability to maintain these accounts. If possible, start digitising manual processes. By making your company more digital, you can cut down on inefficiencies and evaluate the overall workflow. Schedule periodic reviews to continue streamlining and evaluating your operations to keep your processes up to date. Digitising your business is easier than you think. And the benefits are many. Adapting to digital technology will lessen the possibility of human errors and develop more efficient business processes. In the long run, digitising your business saves both time and money. Prime Minister Lee Hsien Loong made a trip down to Silicon Valley earlier this month to visit some of the top start-ups in recent years. During his trip, he met some of the top entrepreneurs in the world over including Facebook’s Mark Zuckerberg and Tesla & Space X CEO Elon Musk. Starting your own business is not easy, especially if you are not born with a silver spoon. Aside from needing a top notch idea, a great team for execution, the perfect timing, the right investors and a nice dose of luck, you also need to get your own personal finance in order…first. Failure to do so would cause unnecessary stress to an already stressful career. Before you think of taking the plunge to be your own boss, here are some personal finance matters that you should consider first. 1. Can You Embrace A Simple Lifestyle? When you run your own business, a large part of the effort you put in is to grow the business for tomorrow. Start-ups or new businesses do NOT work for today. They work for tomorrow, while balancing today’s need. When you hustle, you hustle for tomorrow. This has two main implications. The first implication is that if (and that’s a big “if”) the business succeeds, you get to enjoy the long-term value that it brings to you, its shareholders. That could be in the form of passive income to shareholders or a big exit through an eventual sale of the business. The second implication is that you are not going to be paid well (if any) for running this business of yours today. And that “today” can easily last 4 to 5 years. Forget about flashing your CEO namecard at clubs or buying expensive bottle of drinks for your entourage, you wouldn’t be able to afford it. Those restaurant meals that your friends are enjoying may also be out of the question. Rather, homecooked dinners followed by cheap coffee are likely to be the norm. So would squeezing onto the train to get to work each morning. Billionaire Elon Musk once lived on about $1 per day in his college days. The reason for him doing so was to test himself if he really had what it takes to be an entrepreneur, and be able to survive under extreme circumstances. Elon Musk rational was that if he could survive on $30 per month on food, then it shouldn’t be too difficult for him to earn and survive on that amount as an entrepreneur. 2. Are You Able To Endure Being Underpaid? Businesses take time to grow. If you are creating a start-up (i.e a business that nobody has done successfully), you will need even more time to grow it. People who work regular jobs expect to be paid salaries that commiserate with their average output. When we are worth $3,000 per month as a fresh graduate, we expect to be paid that amount. When our skills and experiences increase, we expect to be paid more. When you are working on your own business, this logic needs to be thrown out of the window. Even if you are the super employee/boss of the company doing everything from closing business deals, delivering great products and services to your clients and being a one-man accounting team, you might still be paid $2,000 per month – for doing a great job. You might be working harder and smarter than all of your peers and still be earning the least amount of money among everyone whom you know, at least for the first few years. 3. Can Your Family Cope Financially With Your Decision? Most of us have financial commitments in life. Some of these commitments are long-term, such as paying for the home mortgage and taking care of the needs of our children and elderly parents. Like it or not, financial commitment to our family is one thing that we cannot get ourselves out from. You might be able to live a simple life, but your family would need to be able to cope and live with that decision you are making. The hard and unfair truth is that not all of us are born into family that can manage the stress of financial uncertainty. 4. Do You Have A Strong Savings Plan? Even if your business eventually turns out to be sustainable in the long run, personal cashflow challenge is one aspect that you cannot ignore. Most businesses have cashflow challenges. Account receivable is one area that finance managers are always keeping a lookout of because poor management of your cashflow can potentially sink an otherwise profitable business. From an individual standpoint, there might be days where you might need to allow your business to owe you unpaid salary in order to stay afloat. Your personal savings will have to step in for these challenging days in order for you to tide over short-term cashflow difficulty. Why Invest in P2P Lending? Many people are new to peer-to-peer (P2P) lending as an investment option. Questions arise. Is it trustworthy? Does it fit my needs as an investor? Who else have invested in it? All valid concerns. Nearly no one wants to jump in blind when it comes to investing hard-earned money. Not billionaires, not angel investors – even they do extensive research prior to investing. People want examples of successful P2P investors and whether P2P lending works for their portfolio. However, you’d be surprised by how flexible this form of alternative investment is. Let’s start with individual or retail investors. Why is a relatively new investment opportunity so appealing to this segment? The financial market can strike one as tangled, complicated, and unpredictable. Where does one even begin? P2P lending can feel like a breath of fresh air as it offers a much simpler concept. Basically, it is a form of alternative investment where investors collectively fund loans and earn interest-based earnings in return. Think of P2P lending as profitable crowdfunding! Where crowdfunding projects usually support charities and artistic ventures, P2P lending lets you collect attractive returns. Also, compare P2P lending with stock investment. Navigating the stock market requires expertise and research. 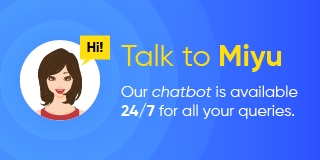 Credible P2P lending platforms perform all the necessary due diligence and credit assessment to guide your investing choices, which saves time. You still need to do some of your own research though, so you can decide for yourself which businesses you want to invest in. But overall, P2P lending jargon is more accessible compared to other investments. Other bonuses? The affordable entry. At Funding Societies, you can invest in each small business with as little as SGD 100. P2P lending is also a profitable, with returns up to 14% per year. It’s easy to see why individual investors are seeking alternative investments like P2P lending. Through it, you make passive income with ease and you earn higher returns from lower capital. More and more, P2P lending is gaining popularity. Respected media outlets such as Forbes have talked about its benefits. P2P infrastructure is thriving and all the indications point to one conclusion: P2P lending is here to stay! This article was first posted on the blog of Funding Societies (Malaysia). Click here for the original article. Whether you’re just looking, or starting out in investing, it will be helpful to understand the major instruments with which people tend to invest. This video gives an overview of 6 main investment options, as well as their qualities and characteristics. 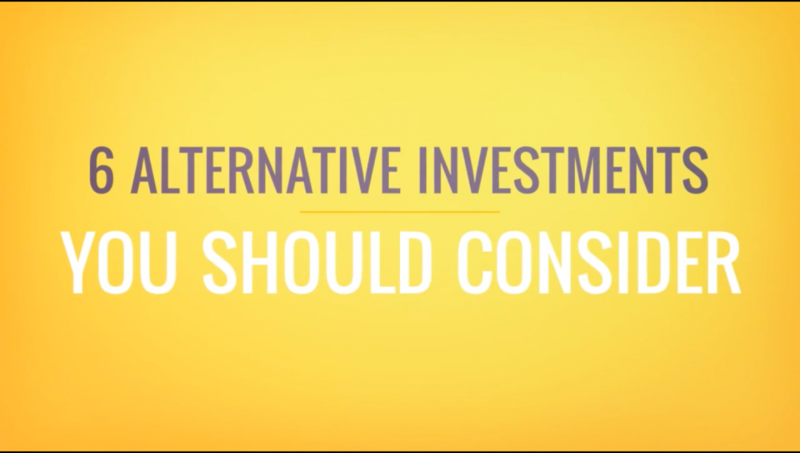 Find out more about alternative investing at Funding Societies here. The older generations love gold and properties as their mode of investment and method to hedge against inflation. With the advancement of the Internet and technology, the new generation of investors are now more well-equipped with information and new investment opportunities. This is especially so in recent decades, when the huge leap in technology opens up a whole lot of new sub sectors in the digital industry which can potentially revolutionise the way we invest. Let us look into 5 growing digital sub sectors and how it can create new investment opportunities. According to Investopedia, Crowdfunding refers to the use of small amounts of capital from a large number of individuals to finance a new business venture. Typically, crowdfunding is either reward-based or equity-based. For reward-based crowdfunding, entrepreneurs or inventors will pitch their product idea to investors, in exchange for a free or discounted finished product. An example of such crowdfunding website would be Kickstarter, the world largest reward based crowdfunder where over US$2 billion has been pledged by more than 10 million people since they launched in 2009. Oculus Rift began as a Kickstarter project 3 years ago, and eventually raised US$2 billion. Pledgers of the project were promised to get the upcoming Oculus Rift for free (how we wish we knew this project back then!) However, this type of crowdfunding is not considered as an investment. As for equity-based crowdfunding, investors can chip in for the projects in exchange for the equity of the firm. The more prominent equity-based crowdfunding platforms are Seedr and CrowdFunder. Locally, Fundnel also offers various funding methods for businesses and investors depending on their suitability. Based on 2014 statistics, Asia is recording exponential growth in crowdfunding market, contributing 21% to the global funding volume. Globally, an estimated US$87,000 is raised every hour. P2P lending refers to a debt financing method which enables individuals to borrow or lend, without the traditional brick and mortar financial intermediaries. Investors can lend money to the businesses in exchange for periodic interest payment and the principal amount upon maturity. It is also known as social lending. Without the traditional financial intermediaries such as banks and finance companies, P2P lending narrows the interest spread between lenders and the borrowers which is beneficial to both parties. P2P lending is usually deemed as risker as investors are lending their money to businesses that banks might have rejected their loans. However, there are many reasons why banks can reject a loan. And one of the main reason is that these SMEs do not have enough history of track records in earning ability or cash flows. P2P lending platforms can help to assure the investors by doing first-round screening of the SMEs before posting them online. Financial information are also provided for the investors to do due diligence. MoolahSense, Funding Societies and Capital Match are some of the P2P lending platforms in Singapore. 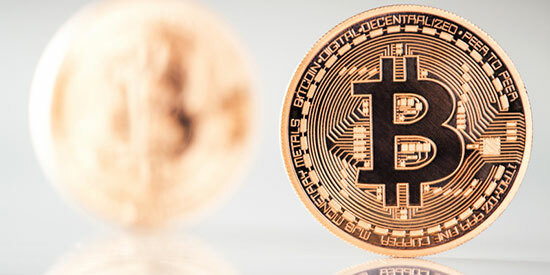 Bitcoin is a digital currency (also known as crypto-currency) created in 2009 with the promise of lower transaction fee than traditional online payment methods. It is the most accepted digital currency and some businesses accept Bitcoin as a mode of payment for goods or services. Besides acting as a mode of payment, Bitcoin is also seen as a type investment for many people. However, price of Bitcoin can be very volatile. The highest recorded price was US$1,151 per Bitcoin in 2013 while the lowest was US$205 in 2015. As at 15 Feb 2015, price of 1 Bitcoin is at US$404. DPI enable consumers to buy basic life insurance policies directly from the insurance companies online, without having to go through financial advisors and hence, bypass commission charges. This initiative implemented by Monetary Authority of Singapore (MAS) to allow Singaporeans to have access to basic protection without any financial advice. Consumers can compare financial products offered by different insurance companies using online platforms like CompareFirst and take their time to decide which policy best suits them. This initiative, together with vast availability of information online, people can make more informed choice and hence reduces the conflict of interest for insurance agents. The current commission based system might prevent some of the agents from recommend the soundest advice for their clients. Read Also: Will Buying Life Insurance Online Be The Next Big Thing? Everyone loves Ecommerce. Yes, everyone, even the Durian sellers. People love to buy things online for many reasons. It can be due to convenience, price competitiveness, price comparison or variety. The trend of buying things online is set to grow further and hence, listed ecommerce companies presents an unprecedented investment opportunities for the investors. The ecommerce sector is undergoing explosive growth, attracting US$112 billion worth of investments globally in 2014. With increased connectivity and the advancement of technology, it spurs a new wave of innovation and the birth of new subsectors. This also presents more investment options hence moving investors away from the more traditional investment methods. It is worth looking more in-depth in digital sector than ever before.